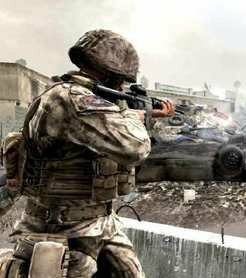 The Xbox 360 version of Call of Duty 4 will get a substantial update this month. There is no release date available yet, but the list of enhancements is quite appealing. In the mean time, everyone playing on the PC seems to have forgotten about two major releases. – Added a minimum of 9 extra start spawns on each side of all maps. In the mean time, all is too quiet on the PC front. Both Crysis and Unreal Tournament 3 hit the shelves in mid-November and they stayed there, says the data from NPD. Crysis only managed to sell 86,633 units last month, and that’s a lot when compared to Unreal Tournament 3’s figures: 33,995. 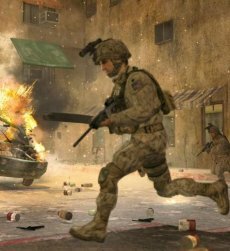 We should add that Call of Duty 4: Modern Warfare (the same Xbox 360 game just about to be patched) sold 1,570,000 units in November. Then again, that would be a mean thing to do, so we won’t say a word about it. Activision On Rock Band PS3 Patch: We Want Our Cut!